Respond to signs of addictions and mental illnesses. Mondays, May 6 and 13, 2019 REGISTER TODAY! The Youth Mental Health First Aid course is designed to teach parents, family members, caregivers, teachers, school staff, peers, neighbors, health and human services workers, and other caring citizens how to help a youth who is experiencing a mental health or an addiction challenge or crisis. The training introduces common mental health challenges for youth, reviews typical adolescent development, and teaches a five-step action plan for how to help young people in both crisis and non-crisis situations. We will use role-playing and simulations to demonstrate how to recognize and respond to the warning signs and symptoms of specific illnesses like anxiety, depression, schizophrenia, bipolar disorder, and substance use disorders. YES’ 8-hour certificate course is split into two 4-hour days for convenience. The course cost is $75 which includes a training manual and dinner. *Mental Health First Aid training is certified by the Substance Abuse and Mental Health Services Administration’s (SAMHSA) National Registry of Evidence-based Programs and Practices. 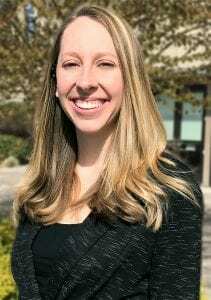 Michelle Brode, LASW, CDPT – Youth Eastside Services Behavioral Health Support Specialist and Lake Washington School District Suicide Risk Assessment Provider. Michelle Brode always knew she wanted to major in psychology, but it wasn’t until she worked on her university’s crisis phone line that she found her passion working with youth in crisis. Michelle’s main role is at the Rose Hill and Kirkland Middle Schools. She provides one-to-one counseling for students, conducts presentations, and organizes recovery groups within the school. She also continues her crisis work by providing suicide risk assessments throughout the Lake Washington School District. When school staff sees that a student is at risk of suicide or self-harm, they contact YES and Michelle will immediately go to the school to conduct an assessment and recommend the best next step. Michelle lives on the Eastside with her partner, and two children (one in middle school and the other in high school). She finds parenting to be a journey with never-ending challenges, joys, and opportunities for growth. Suzanne Peterson, LMHC, CDP– Youth Eastside Services Open Access Supervisor and Co-Occurring Disorders Therapist. Suzanne has clinical experience working with children, adolescents, and adults but after four years at YES, she has grown to appreciate the challenges adolescents are facing presently and wants to help them find ways to be resilient against those challenges. Suzanne manages the intake office at YES (Open Access), supervises clinical staff towards licensure, and has a caseload of clients with co-occurring substance use and mental health concerns. She has specialized training in Motivational Interviewing, Cognitive Behavioral Therapy, and Dialectical Behavior Therapy. Suzanne specializes in individuals struggling with self-harming and suicidal behaviors, substance use, and trauma. Suzanne lives in Seattle with her partner and enjoys playing volleyball and visiting family in Portland.